These amounts are a starting point only because animals’ needs vary.Adjust the feeding amount to maintain optimal body weight. Science PlanTM Puppy formulas should be fed from weaning until maturity at 1 year old. The daily amount required by individual puppies typically varies by ±16% (e.g. 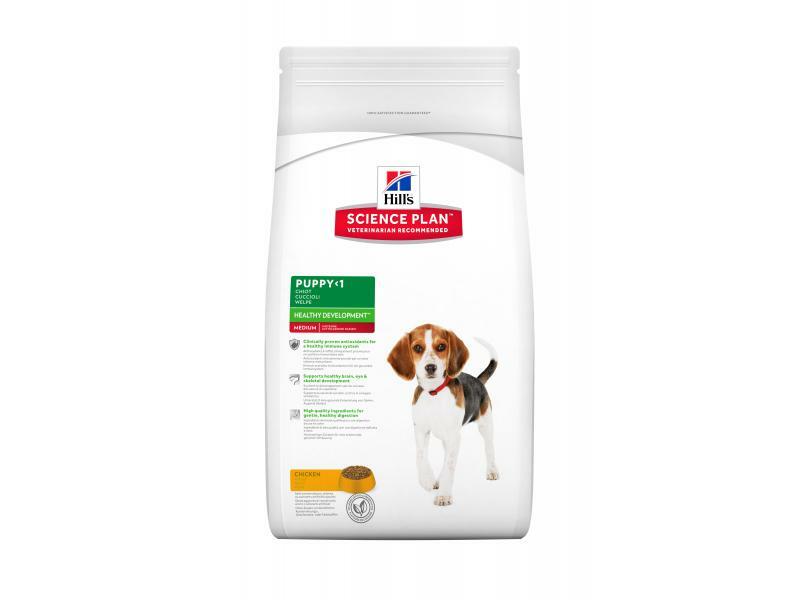 a 4 month old, 4 kg puppy may require between 105 and 145 grams of these Science PlanTM Puppy Healthy DevelopmentTMdry formulas per day). Therefore these amounts should be adjusted to maintain optimal body weight, and fed as 2 - 4 meals per day (the number may decrease with age). A 370g can is equal to 125 grams of the dry food. Kibble size Small Provides an appropriate size for age and breed. Chicken (29%), maize, barley, soybean meal, pork liver, minerals, fish oil, vitamins and trace elements. Coloured with iron oxide. 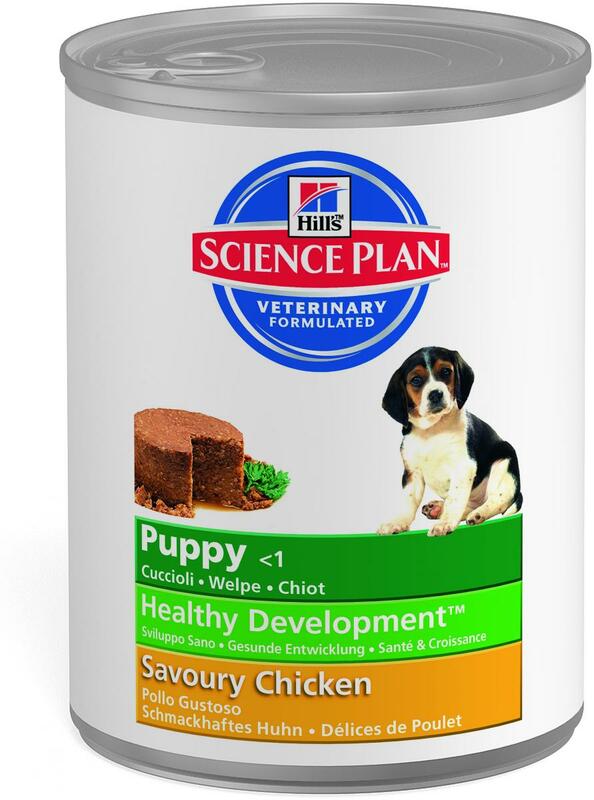 There are currently no questions for Hill's Science Plan medium breed puppy chicken dry dog food - be the first to ask one!